Founded in 1924, Azienda Agricola Ca’ dei Zago maintains 6 hectares of vineyards in Valdobbiadene in the province of Veneto. 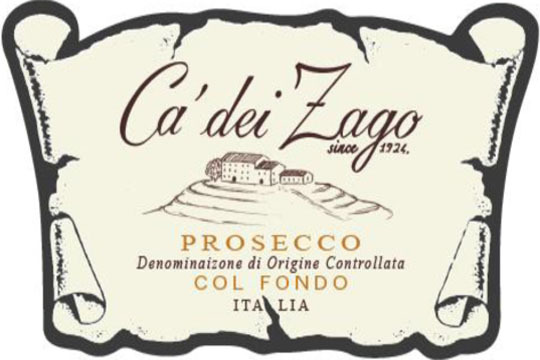 Christian Zago returns to the traditions of his grandfather to make this unique Col Fondo (on the sediment) Prosecco, which finishes its fermentation in the bottle under crown cap. 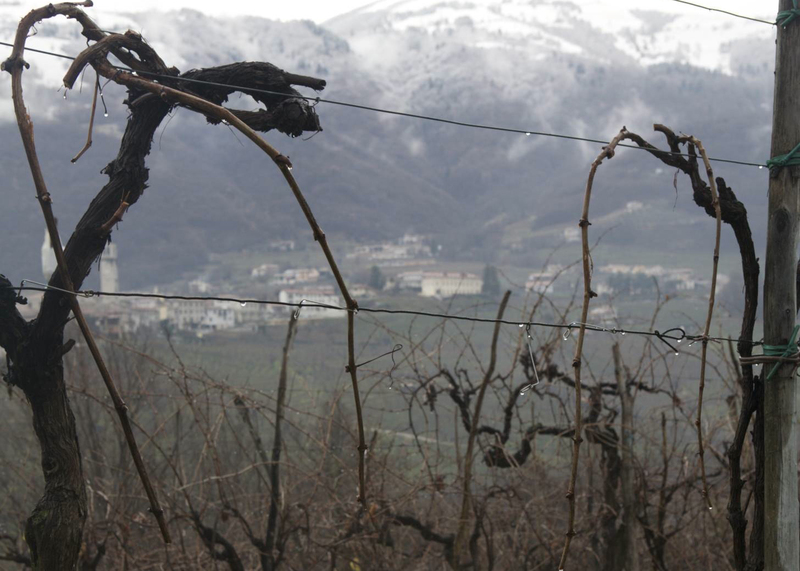 This results in a Prosecco that is slightly cloudy with the sediment still in the bottle, a characteristic commonly found in Prosecco until the 1970s when pressurized tanks were introduced. 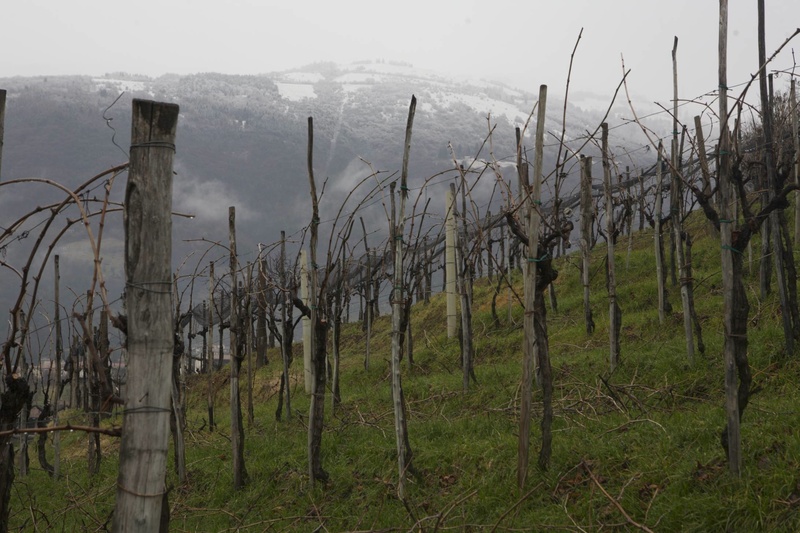 There have never been any herbicides or pesticides used in the vines – that are all terraced on steep hills characteristic of the area, making machine harvesting impossible. 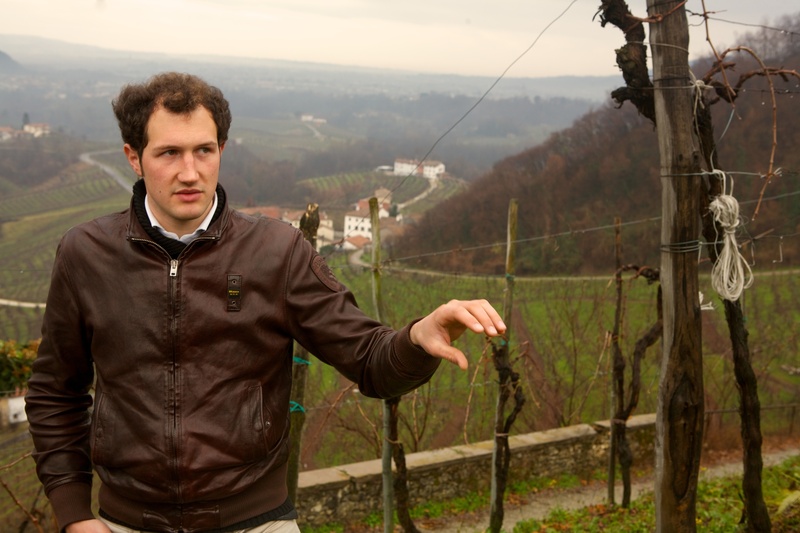 He has been practicing biodynamic since 2010. 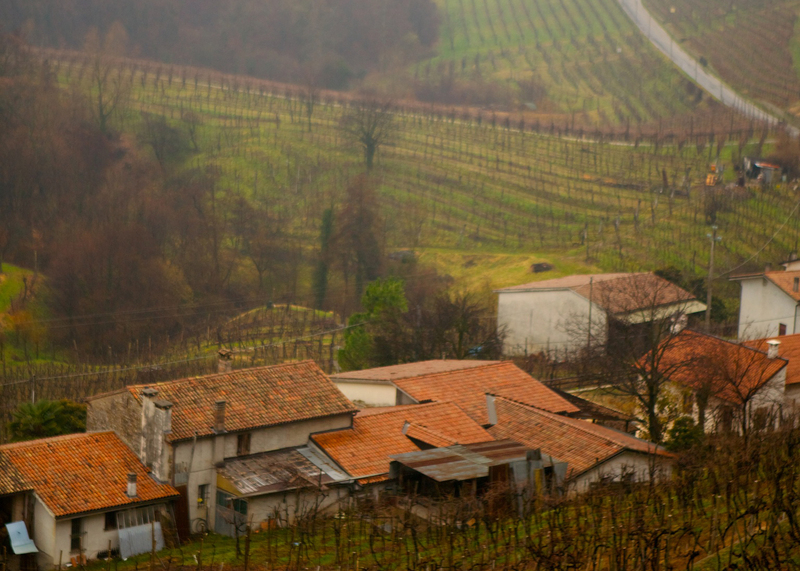 Read Nick’s latest blog post about Real Prosecco from Valdobbiadene here. Varieties: Glera from very old clones, small amounts of Verdiso, Perera, and Bianchetta from massale selection. Vinification Method: The grapes are harvested and selected by hand then pressed using the delicate force of gravity, as the grapes never pass through pumps. After a smooth pressing, the must rests and decants for 24 hours. At the end of the second day the must is racked off and fermentation begins in concrete tanks, lasting for about 10-20 days, depending on the year. The wine is poured and sulfur is added to avoid oxidation. For the whole winter season the wine rests and is decanted in stainless steel tanks with periodical remuage in order to keep it homogeneous, and to let the yeast work. The cellars are positioned outside so as to increase the exposition of the wine to the winter cold in addition to the contact with the lees, producing the natural tartaric and protein stability of Glera wine. When the wine is around 1% short of finishing fermentation, it is transferred to bottle after a very light filtering, where it finish its fermentation. Tasting Note: Light and refreshing, this 10% alcohol wine can be enjoyed with any food, and at any time of day. In Valdobbiadene, Prosecco Col Fondo is often stored standing upright, then decanted into a pitcher, reserving the last bit of sediment-rich wine to be tasted separately.